Bonus framed parallel pack - the top card was peeking out, so I grabbed this pack. After a prolonged hiatus, I decided to drop by my LCS to stave off some boredom - in addition to small stash of loose cards I put together, I was looking to bust some loose packs. 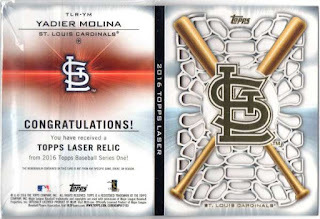 I balked at the single pack prices [maybe $4-$6] for stuff like 2016 Panini Diamond Kings and 2016 Topps Gypsy Queen - though 'old news,' I knew I hadn't picked up my lone jumbo pack of 2016 Topps Series I for my breaking ritual, so I settled for that. It's fun to dig up at least a signed card [if nothing else] of an ace pitcher who has just thrown his second no-hitter in as many seasons - who knows how long this run of excellence will last for Arrieta, but it's fun to watch a pitcher use his arsenal of pitches to impose their will against opposing batters. 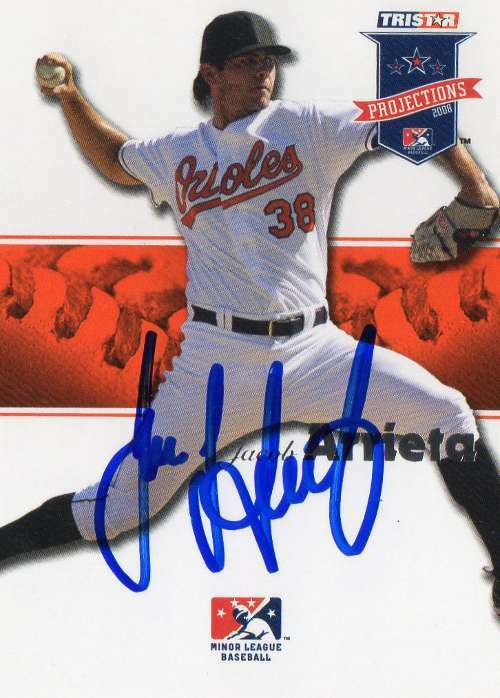 I think I got this card signed [along with three others] when Arrieta was a rookie with the Baltimore Orioles back in 2010 - he had emerged in the minors as someone who could be a decent major league starter, but after floundering for parts of four seasons with the Orioles, it took a trade to the Cubs before Arrieta would start to blossom. The 15th round pick in 2014 made his MLB debut on April 13 with a scoreless inning - admittedly, Mahle's ceiling maybe a LOOGY, but there is still a novelty to seeing an unheralded guy come out of nowhere to reach the big leagues. Ortega made his Angels debut on April 16, going 1-for-3 with a stolen base and a run and a walk - if Ortega gets an opportunity to stick around, he could be like fellow Venezuelans Gregor Blanco or Ender Inciarte, a couple of outfielders who've maxed out their ability and became dependable parts of a MLB roster. When Soto won the NL Rookie of the Year with the Chicago Cubs in 2008, there maybe expectations he would be a star for years to come - stardom never did happen, though the current Angel is a perfectly average hitter [.332 on-base / .434 slugging / 102 OPS+] for a semi-regular backstop. 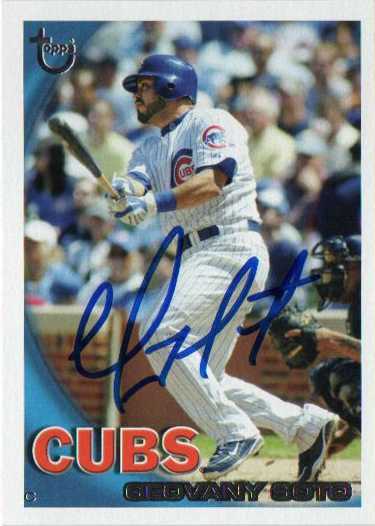 As he gets into his mid 30s and his playing career winds down - Soto still maybe a useful piece that can put together a decent season or two with the bat to pad his modest lifetime numbers. 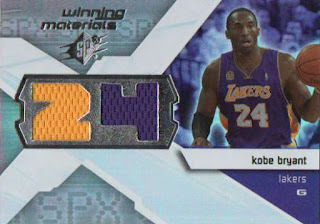 With Kobe Bryant's career spanning through the entirety of my adult life up through this point, he was a pretty big deal - when he was making improbable shots on the court a reality, when he was winning championships with the Los Angeles Lakers and had built up this persona of a world beater who was relentless in his chosen profession. Because Kobe's Laker teams had decayed over the last 4-5 years as his health had deteriorated - maybe it's easier for him to leave the game now, instead of struggling to hang on for a little bit longer with no apparent pathway to a championship, much less winning, competitive seasons. I didn't know much about Mazara besides the fact that he was a high profile international signing back in 2012 - as far as I knew, for the past four years, Mazara was just another prospect who was putting his time in the minors. However the 20-year old was called up and made his MLB debut against the Angels on Apr. 10, filling in for a hobbled Shin-Soo Choo - when I had the opportunity, maybe I should have put Mazara on a non-card item, but his autograph is really odd looking. 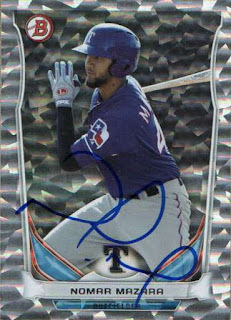 As is, Mazara is supposed to be a real good player with an even keel attitude - when he is a star and is signing for more prominent memorabilia companies, maybe his agent should get in his ear about improving his scribble. 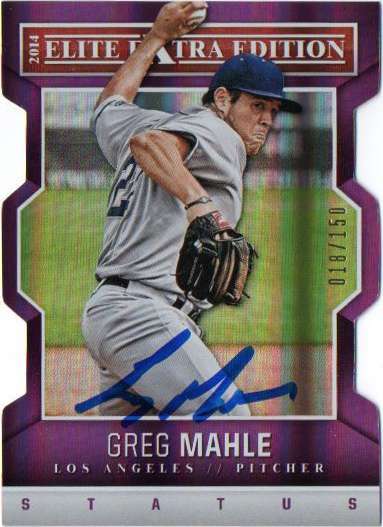 The 26-year old righty made his MLB debut Friday night and threw 7.1 hitless innings against the San Francisco Giants - there was a kerfuffle whether he should have been left in to preserve a lead, but he was pulled and the Giants tied the game on a 2-run home run. Regardless of an eventual 3-2 loss, Friday was a memorable day for him, his friends and family - rookies tend to come and go, but hopefully Stripling can get that first 'W' out of the way sooner than never. 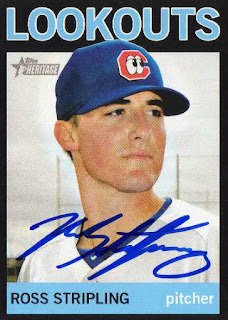 Stripling was pretty much a nondescript Dodger minor leaguer a few months ago, but I pulled out his cards hoping it was him who I saw walking to his car - I think he was about to start up his car when I gestured to him with a card of his in my hand and he was nice enough to get back out and sign for me. 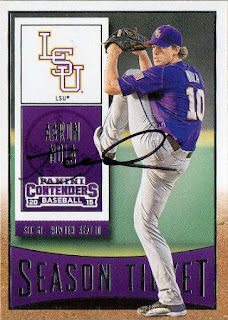 Stripling took a second glance at this 2013 Topps Heritage Minors black border card as he signed it for me - though it's not really for a set, I didn't have an extra copy that I could give to him. 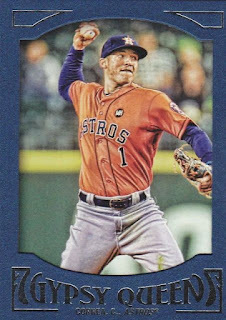 With at least 3 home runs in his first three MLB games - it will be hard to move the Colorado Rockies shortstop if and when Jose Reyes is ready to play. If Story continues to play well further into the season, how are the Rockies going to dump Reyes with $47 million left in his contract - there is no way the fans are going to be happy seeing Reyes ever take the field at shortstop for the Rockies. 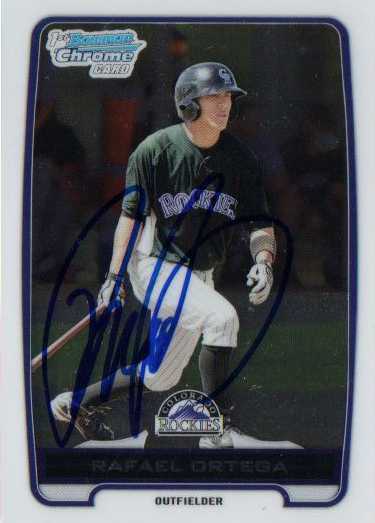 When Story was playing for the Modesto Nuts against Lake Elsinore in 2014, I remember telling a fan at a minor league game that Story was the opposing team's best player - however, I think Story's path to the big leagues got a little blurry because it looked like Troy Tulowitzki was going to be a lifelong Rockies player. 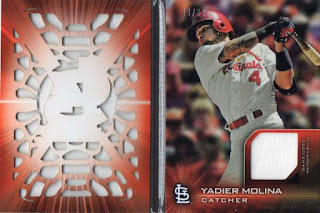 Though random as anything else to come mind when referring to particular players - I think about the scene in the movie Shallow Hal, where Hal's best friend Mauricio explains that he literally has a tail. 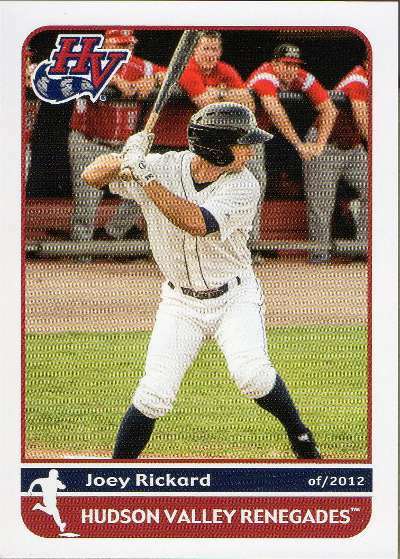 I dug up the first professional card of the Rule 5 draft pick who made the Baltimore Orioles Opening Day roster as their starter in left field - I'm poring over Rickard's Baseball Reference page to see if I could figure out where he came from and what he might be capable of as a big leaguer. He posted a .390 on-base percentage in parts of 4 minor league seasons and can run - so after a good spring training performance, perhaps he can stick around. 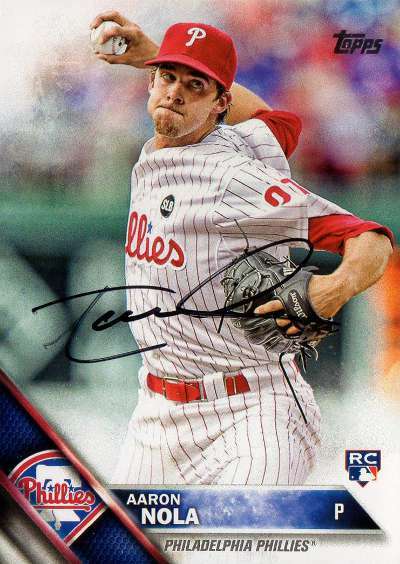 The Philadelphia Phillies pitcher signed my two cards in black ink - I mailed this out in early February and got it back on Opening Day. There doesn't seem much to Nola's autograph, though I'm glad I got my request back sooner than later - the 22-year old looks to be the ace of a rebuilding Phillies team. 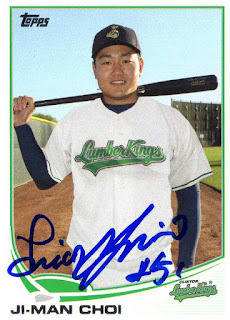 Choi has made the Angels Opening Day roster and while it is hard to guess whether or not he'll actually stick - may he get the opportunity to play a little bit and perhaps be a 'find' for the Angels.